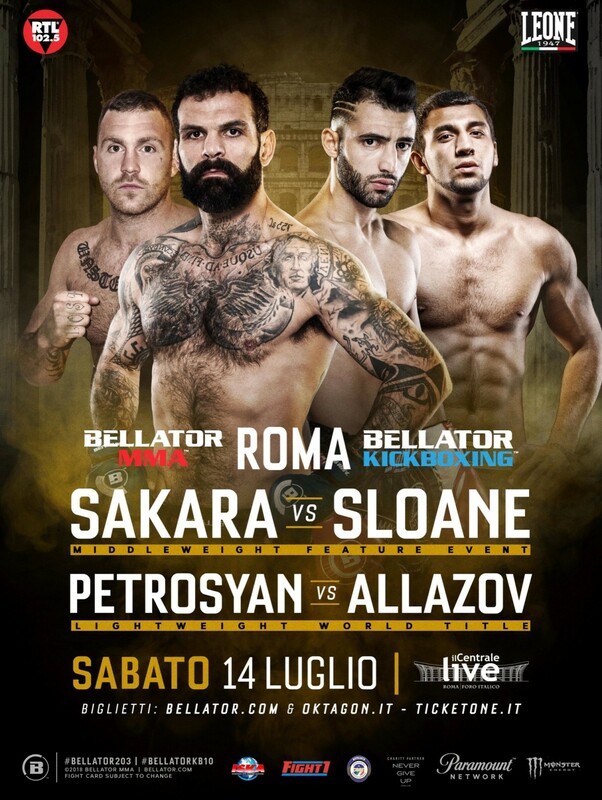 On Saturday, July 14th Rome will host Bellator, and along with it a main event kickboxing bout that many are calling the fight of the year, Giorgio Petrosyan (ITA) vs. Chingis Allazov (AZ). In addition, the same card will also feature a -65 kg. title fight, when Kevin Ross (USA) meets Gabriel Varga (CAN). 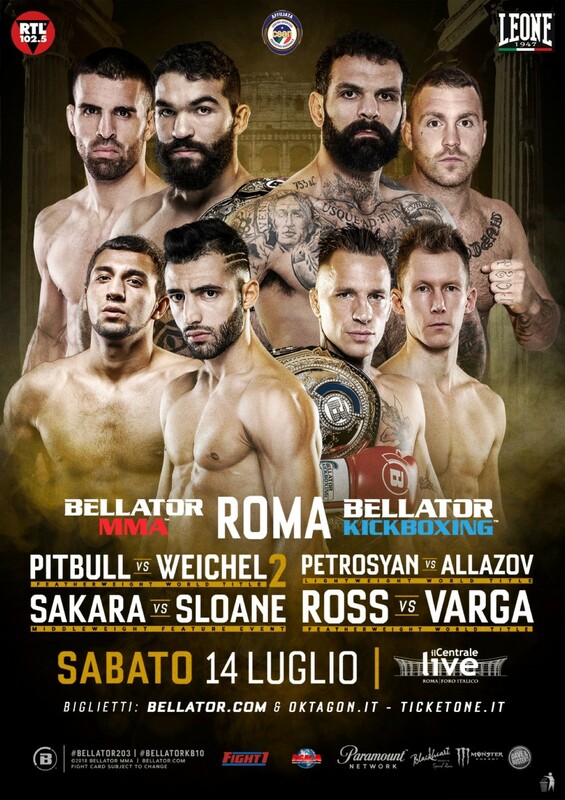 Rounding out the kickboxing action, Martine Michieletto (ITA), who is a 2018 World IFMA Champion will fight versus Bellator Kickboxing veteran Gloria Peritore (ITA). 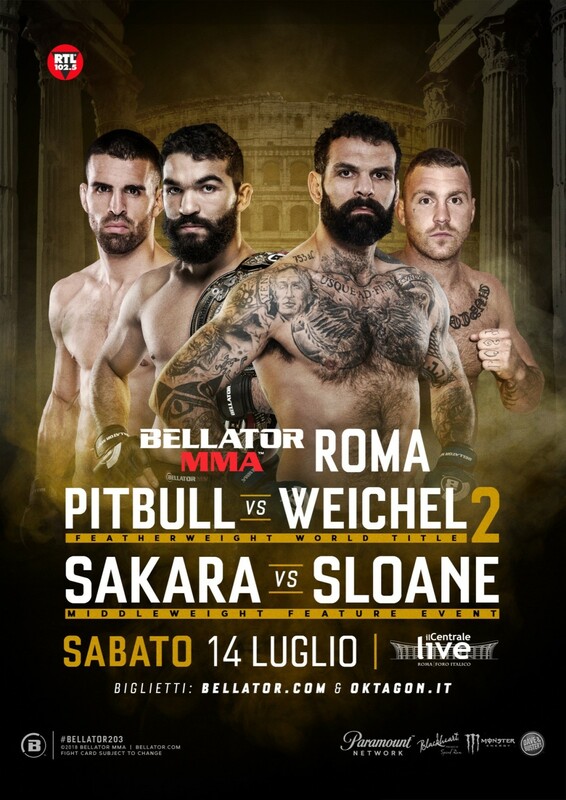 The Bellator MMA portion of the Card will feature a title fight -66 kg between “Pitbull” Freire (BRA) and the challenger Daniel Weichel (D), the return of Italy’s Alessio Sakara, amongst other interesting fights. 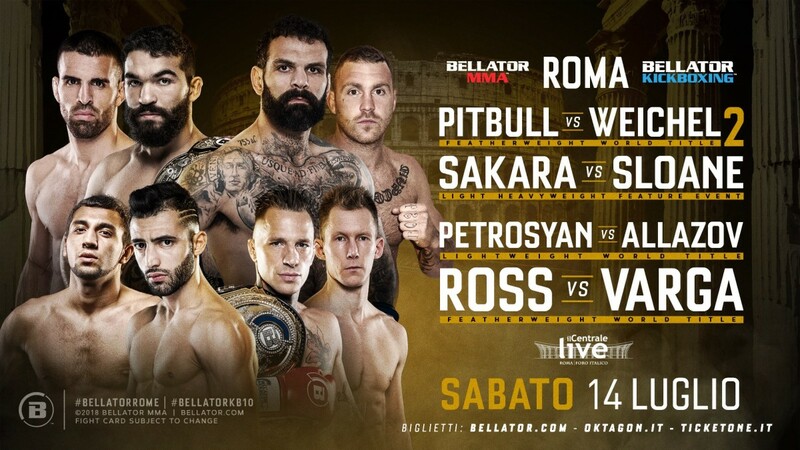 Bellator Heavyweight Fedor Emelianenko will be the special guest at Bellator Rome. “The Last Emperor” will be in Rome beginning on Friday July 13th. Fedor will meet the fans at a very special “meet and greet” exclusively for VIP ticket buyers and at a special charity dinner for only 10 guests. 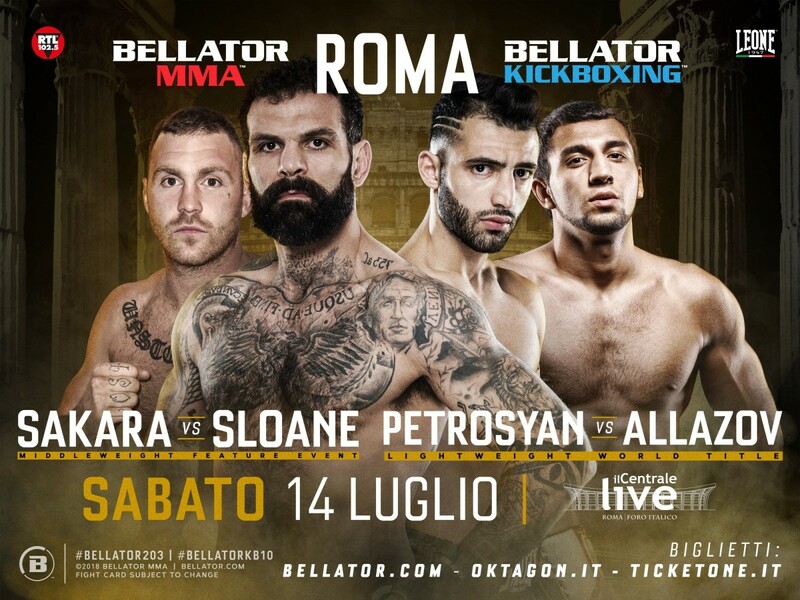 The city of Rome is the place to be in July because it offers a lot of entertainment and fun, as all events are promoted by the city for the “Rome Summer” – With that said, Bellator Rome is one of the most interesting, so do not wait to purchase tickets for the show. The package of four star hotel and ringside tickets to Bellator Rome also includes a meet and greet with Fedor Emelianenko.